EHANG partners with Huawei Wireless X Labs on connected drones solutions. EHANG reached strategic partnership with Shaoguan government in Guangdong, to jointly build a smart city for broad UAV applications. ENANG was granted AS9100 certificate, a widely adopted quality management system for the aerospace industry. EHANG presented 1000-UAV light show on Chinese Lantern Festival in Guangzhou, refreshing Guinness World Record. EHANG established partnership with Dubai RTA to jointly integrate EHANG184 into Dubai’s smart urban transport system. EHANG 184 performed multiple adaptive tests in Dubai with the support of Dubai Civil Aviation Authority. EHANG built a command & control center in Guangzhou to conduct EHANG 184 route flight tests. EHANG launched Falcon commercial drone. EHANG established an affiliate company, EHANG Egret, which was dedicated to becoming a “flyable media” that provides autonomous UAV formation flight service. EHang reached a 15-year agreement of joint development and collaboration with U.S. company Lung Biotechnology, which planned to purchase 1,000 custom EHang 184 transportation systems to automate the delivery of artificial organs. EHang joined China Cloud OS Pioneer Strategic Alliance, which set up the Drone Technology and Application Committee to boost the development of drone industry. EHang launched the brand-new and upgraded GHOSTDRONE 2.0 VR version, which combines 4K spherical camera, VR goggles and smartphone avatar control together, offering users with flight experiences of ease, convenience and higher performance. EHang was named as the World’s Best Innovative Company of 2016 by Fast Company, and edged itself as one of the top three drone companies across the world. In the 2016 CES held in Las Vegas, EHang unveiled the low-altitude autonomous passenger drone, EHang 184, which won 3 awards of innovative product. EHang launched GHOSTDRONE 2.0 series smart drones. EHang raised a $42 million series B investment led by GP Capital. EHang cooperated with Big Cyber to bring GHOSTDRONE to Japanese market. EHang joined hands with Baidu Takeout to try out the first takeout delivery by drones in China. 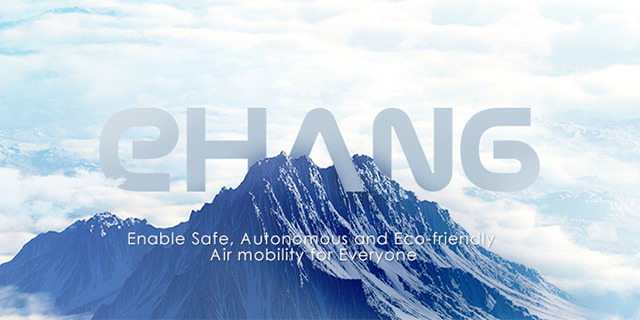 EHang established strategic cooperation with Autonavi LBS+ open platform. EHang set up branch office in Beijing, and joined the 6th phase of Microsoft Ventures Accelerator. EHang raised a $10 million series A investment led by GGV Capital. GHOSTDRONE raised $860,000 in Indiegogo and broke the record of overseas crowdfunding for Chinese technology products. GHOTSDRONE joined Meizu’s plan of “Connect to Meizu” as smart hardware products. EHang GHOTSDRONE 1.0 raised crowdfunding in Demohour and Taobao. EHang was founded in Guangzhou.